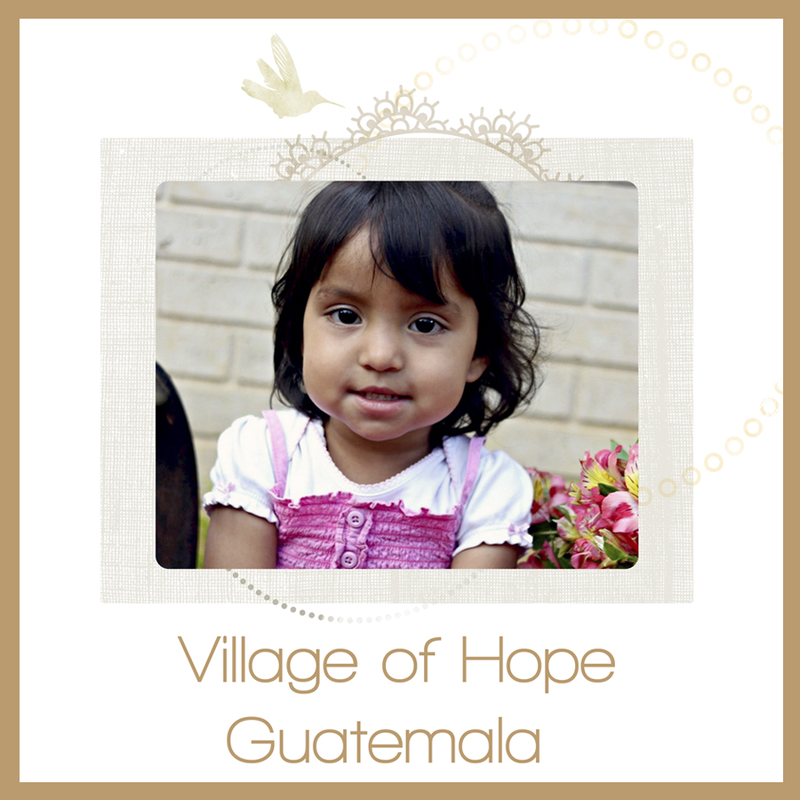 We do everything we can to take a preventive approach to sickness. 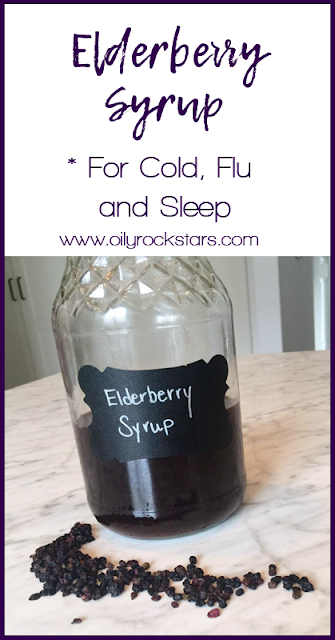 Taking elderberry syrup daily throughout the cold and flu season is one of those things. Elderberries contain natural substances called flavonoids. 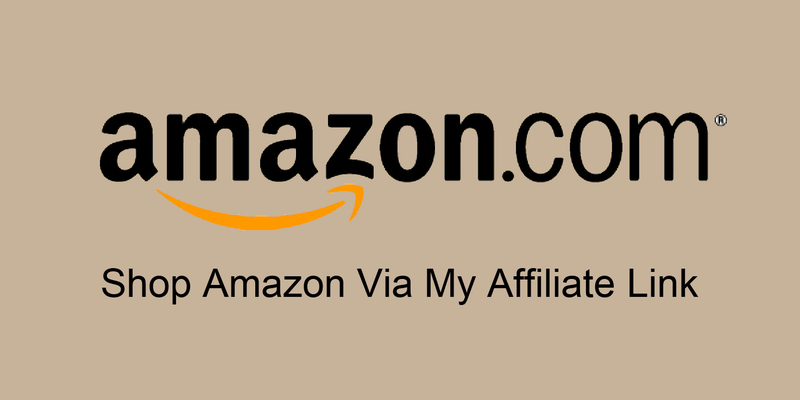 They help reduce swelling, fight inflammation and boost the immune system. Modern research shows they may have anti-viral properties that may treat colds and the flu. I know there are a ton of homemade elderberry recipes out there. This is the one our family loves. KID TESTED!!! Bring water to a boil, cover and reduce to a simmer for 45 minutes to an hour. The liquid should reduce by almost half. At that point, remove from heat and let cool enough to be handled. Pour through a strainer into a glass bowl. I used my large glass measuring cup. Discard the elderberries and let the liquid cool to lukewarm. While your liquid is cooling add your 1 cup of honey to another glass bowl or measuring cup. Add your cinnamon essential oil. Mix to incorporate the oil into the honey. 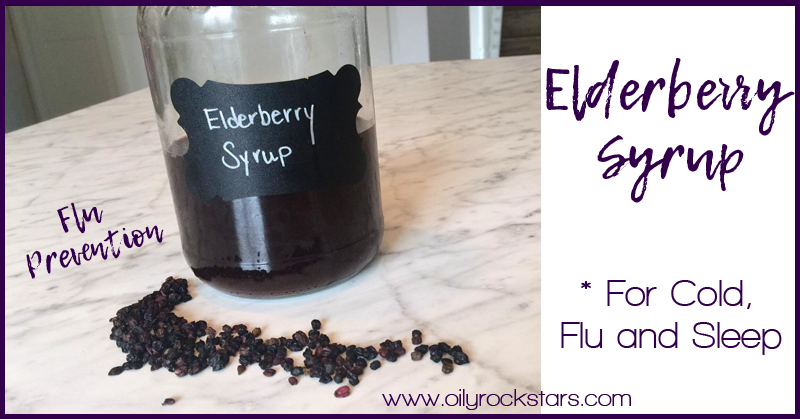 When your liquid is no longer hot, add the 1 cup of honey that has been infused with cinnamon oil, into the elderberry mixture. Stir well. When the honey is well mixed into the elderberry mixture, pour syrup into a 16 oz. glass jar. I used an empty jar I had on hand. If your body is fighting off something, take normal dose every 2-3 hours until symptoms disappear.